Join us for Movie Night. An opportunity to relax and watch a good movie with friends and family. 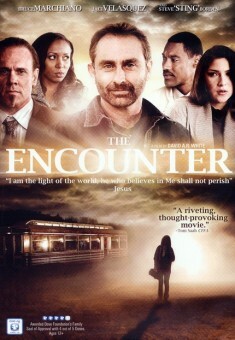 The Encounter – Stranded in the middle of nowhere, five strangers find themselves marooned in a small deserted roadside diner. An arrogant businessman, (Steve “Sting” Borden), a lonely single woman, (Jaci Velasquez), a couple on the verge of divorce, and a youthful runaway, all come face to face with the diner owner who serves them more than temporal nourishment.